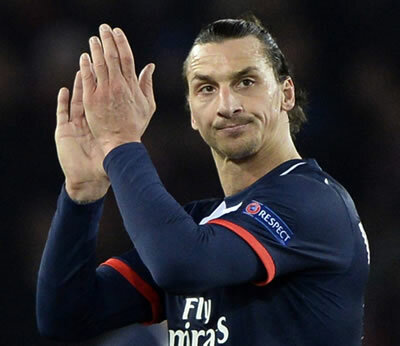 Ibrahimovic Breaks Another Man U Record. The official announcement of the Ibrahimovic one-year deal racked up over 525,000 likes on Instagram as posts involving the 34-year-old dominate the club’s all-time top 10. Ibrahimovic is yet to kick a ball for Manchester United but he cannot stop breaking records for his new club. The 34-year-old broke power records during his medical for United and continues to make his mark at his new club with the official announcement of the one-year deal on Instagram. The confirmation is now United’s most popular social media post of all time with 528,408 likes, while with four posts involving Ibrahimovic ranking in the club’s top six entries in their history. Kidnapped Boko Haram Chibok Girls, Parents React To First Glimpse Of Daughter In Two Years. Must Read. Ondo Guber Poll: PDP To APC Start Mourning Your Humiliation Now.